Besides Santorini Park, this place also had a couple of people intrigued. 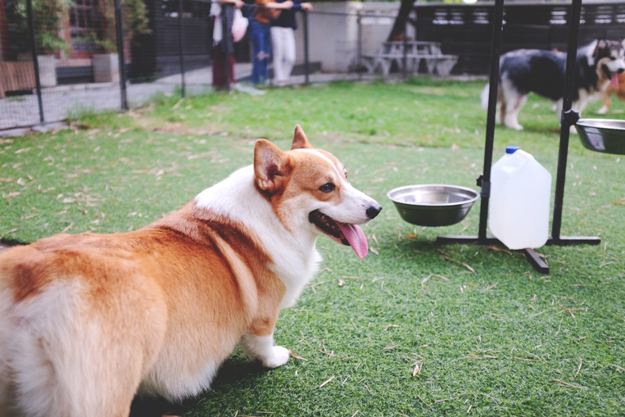 I guess it's not the most ground breaking idea since there's an owl cafe, pinguin cafe, etc... And I did visited a Cat Cafe in Tokyo so I thought why not visited a dog cafe? 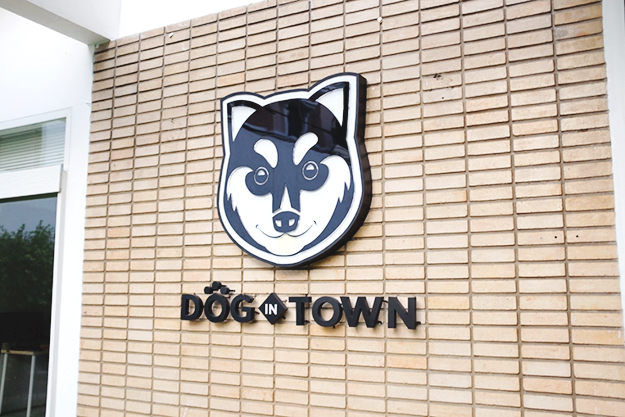 We became aware about Dog in Town Cafe when we were just browsing around about things to do in Bangkok. Since I'm a dog person, I immediately tag the place and make sure we had time to visit. The place is surprisingly not hard to find. We book an Uber from our hotel and the driver took us straight into the cafe, no questions asked. I guess it's quite a popular place. We went there around 4 PM and the place was packed. 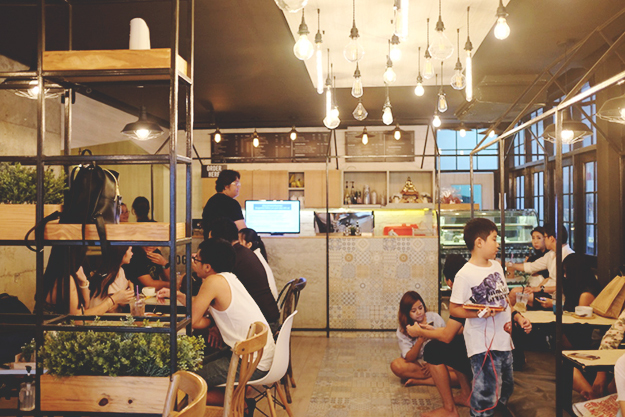 You need to take off your shoes before you enter the cafe. It was air conditioned so the dog smell wasn't too strong and it goes away after around ten minutes. The space was small, luckily, we got a seat right away. We ordered a latte and fries. They tastes okay. There's only snacks and drinks so don't expect to have a hearty meal here. The dogs were all very well-kept and not smelly at all. The staff spray something to each dog every now and then to make sure they stay clean and smells good. 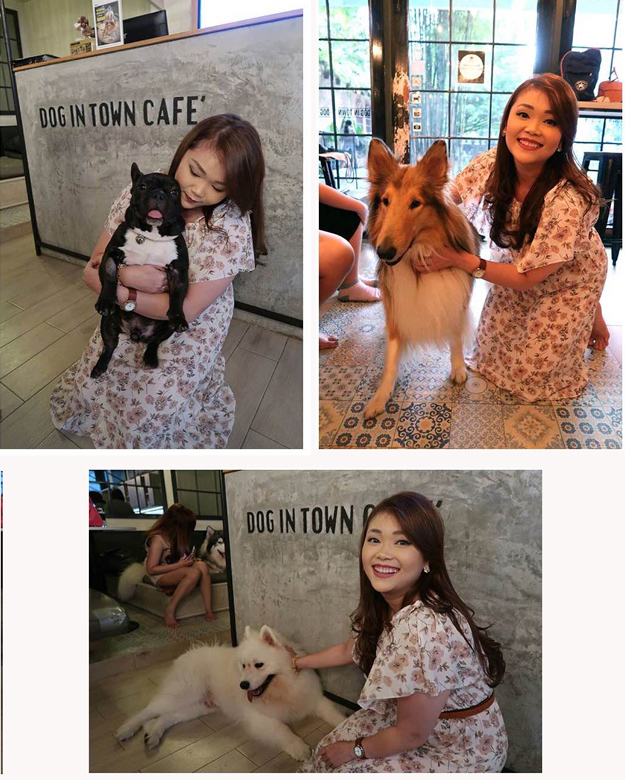 There were around eight dogs and all of them were well behaved despite the fact that they sometimes pee inside the cafe so be mindful with your steps. Most dogs just ignored you and minding their own business of lazying around so you do need to be proactive if you want to interact with them. There were a set of rules and one of them was to not pick up any of the dog without the staff's help. 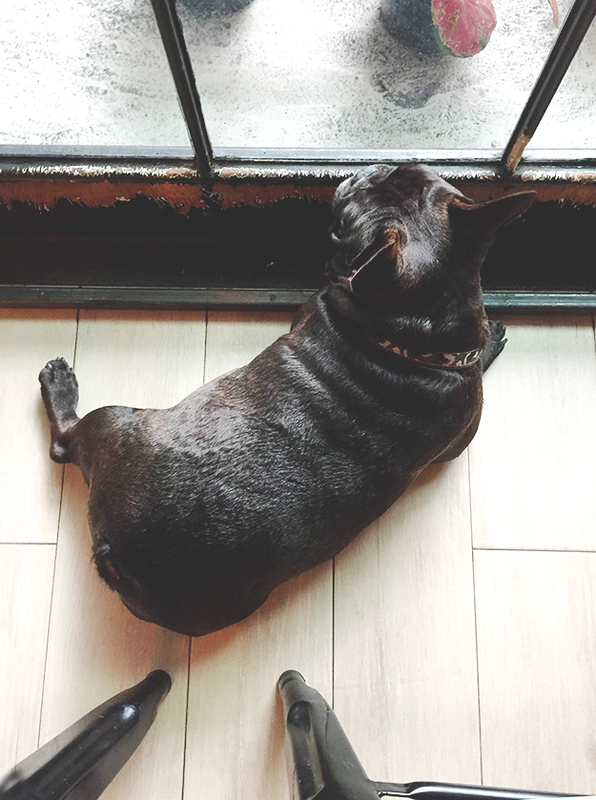 And since I'm obsessed with french bulldogs, I asked the kind staff if I could pick it up just for the photo. She told me to kneel down and then she put the dog on my lap. Obviously, you can't feed them anything from your plate either. And the staff also make sure you don't disturb dogs that were sleeping. The dogs do look content and they have this big yard outside to run around. They also looove their caretaker aka the staff. I personally had a great time there playing with the dogs, I haven't been that close to a dog for quite some time. However, I wouldn't recommend this place tho since there really isn't anything special. Unless you're a die hard dog fans, there's not much this place can offer.